The Granite Spa‘s yoga program focuses on unplugging from an urban setting and tapping into our natural surroundings. Sessions are available in a wide variety of styles in private indoor spaces or outdoor locations year-round. In addition to private classes, our certified instructors offer included yoga sessions every Monday through Friday at 3:30 PM. Please consult your Ranch Ambassador for larger group pricing. Our certified instructor will lead you through a customized flow that blends Iyengar alignment with the fluidity of vinyasa. This practice improves strength and flexibility relying on the union of breath and movement. Poses can be modified to suit everyone from newcomers to advanced yogis. Our certified yoga instructors blend yoga and play to create an engaging experience for the whole family. Drawing from a wide range of practices and poses, this class is an excellent opportunity for families to turn a wellness exercise into a treasured memory. 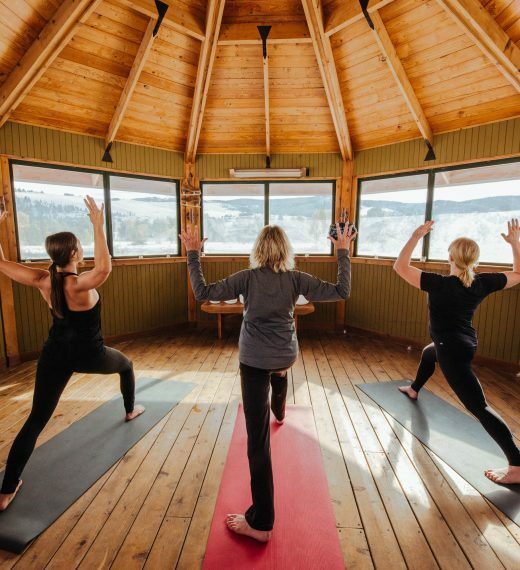 The Big Sky’s the limit with adventure yoga! Utilize our robust, all-inclusive activities program to move beyond the four corners of the mat and into a unique and inspiring yoga practice. For example, hike or bike to the Top of the World where you’ll salute the sun from a mountain peak. Tune your mind into the healing benefits of the natural world. 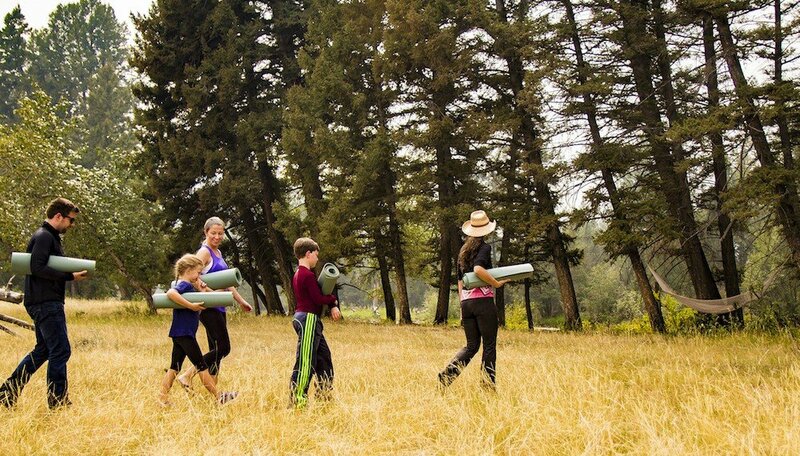 Inspired by the Japanese practice of shinrin-yoku, our forest bathing practice uses The Ranch’s natural alpine forest as a source of meaningful sensory connection. 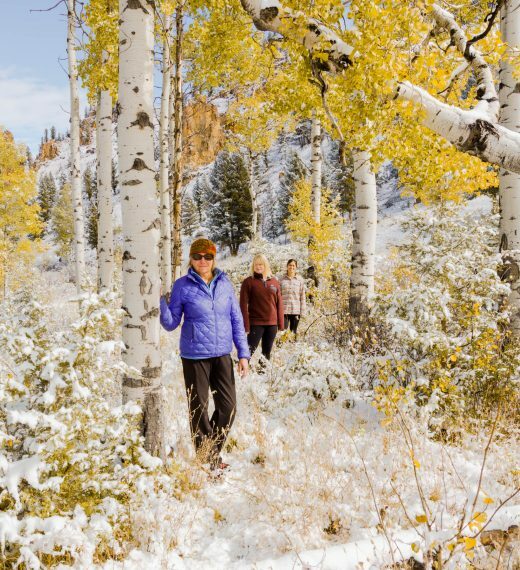 Studies have shown that mindful time in nature reduces the stress hormone cortisol, lowers blood pressure, elevates mood and can even boost your body’s immune response. This guided experience is ideal for individuals, couples, friends and family members, and it is a wonderful way to help children interact with nature. 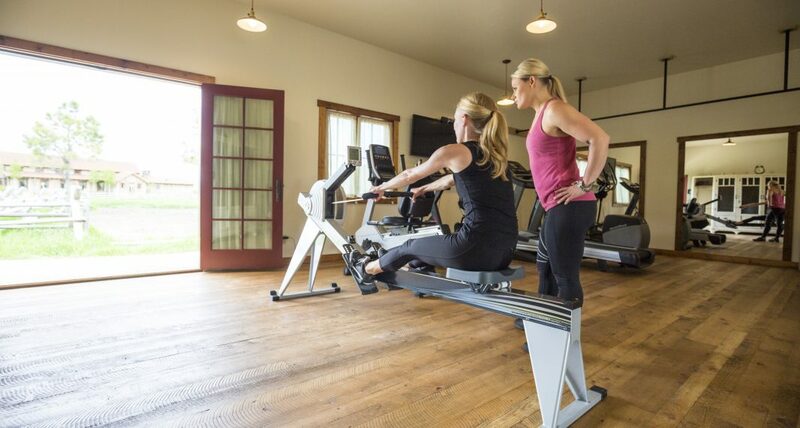 Get inspired to reach higher peaks with a challenging workout utilizing our sweeping outdoor terrain and indoor movement space and equipment. Through a series of natural movement exercises, you and your CrossFit Level-1 Trainer will channel a feeling of flow and creative play. The natural world is full of bodyweight challenges, like jumping over logs, throwing boulders and running at a mile above sea level. This one-hour class focuses on endurance, strength training and stretching, but can be customized to fit seamlessly with your own training regimen. Vacations and work retreats are opportunities to connect and bond with family and coworkers. Allow us to customize a creative, fun and engaging indoor/outdoor workout for your small group. Nature provides the challenges and strength training equipment, such as hills, logs and boulders, while our certified trainers occasionally incorporate Ranch tasks inspired by ranchers themselves and their efforts to work and live off the land.